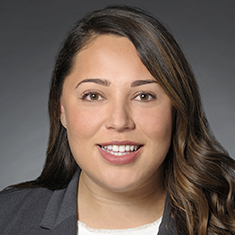 Melissa Velez is an associate in Katten's Litigation practice. Her practice covers a broad range of corporate litigation matters, including employment law, commercial litigation, contract disputes and various business-related disputes. While in law school, Melissa argued before the Ninth Circuit Court of Appeals and obtained a favorable result on behalf of an incarcerated appellant on a First Amendment issue as part of Loyola's Ninth Circuit Pro Bono Appellate Clinic. She participated in the Hobbs District Attorney Practicum and clerked for the Los Angeles County District Attorney's Office, where she conducted felony preliminary hearings. Melissa was also a lead coordinator of Loyola's Young Lawyers Program, which provided mentorship opportunities and trial advocacy training for local high school students within the Los Angeles area. Shown below is a selection of Melissa’s engagements.